The Metafit group workout is an effective and simple bodyweight-only training system for those looking for the ultimate workout that gets big results quickly. Metafit works big muscle groups with simple, un-choreographed, high intensity intervals. 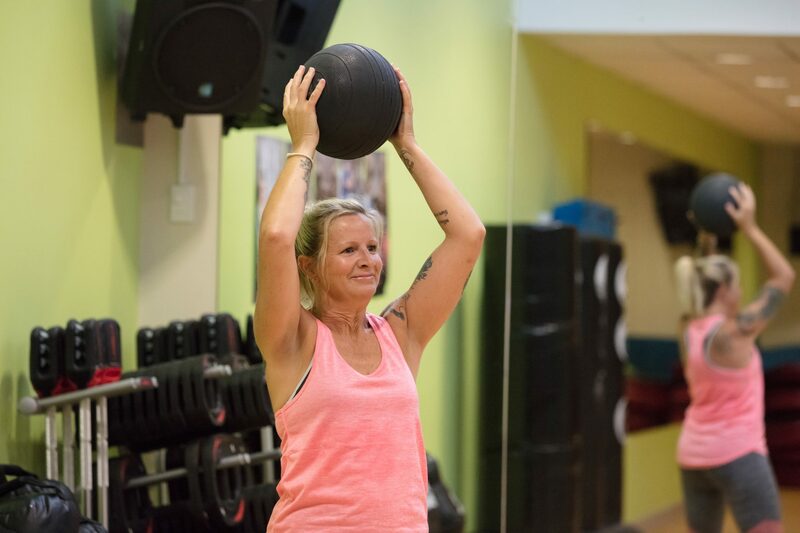 Using the latest HIIT training techniques to set the metabolism on fire, Metafit is a challenging workout for all fitness levels. Resting Metabolic Rate (RMR) accounts for 65-75% of calories burnt. The majority of calories stored as body fat are used at rest, so increasing your RMR is the best way to increase your fat burning potential. After a Metafit workout, your RMR will remain elevated for a minimum of 24 hours, taking advantage of the ‘EPOC effect’. ‘Excess Post-exercise Oxygen Consumption’ or ‘EPOC’ is the effect that you get after a workout. This will vary depending on the intensity of the workout, however high intensity workouts like Metafit increase EPOC more than any other type of training. So you are benefiting from the workout long after you walk out the studio doors! This is not an endurance workout! There is no pacing in a Metafit workout – maximum effort is required. Rocket your energy levels and get massive results in the shortest amount of time possible. Check our current timetable for the next Metafit session at Ballarat Aquatic & Lifestyle Centre. Still unsure if Metafit is for you? Talk to our instructors – they will guide you through every stage of your fitness journey!